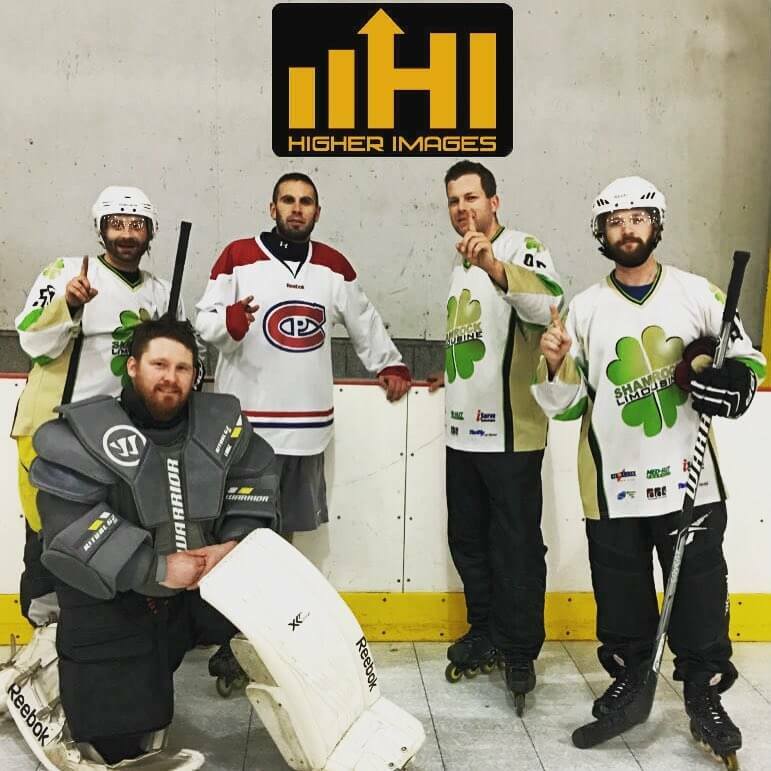 Bridgeville, PA – Higher Images, a full-service digital marketing agency in Bridgeville, PA, recently sponsored an inline hockey team at the Taylor Tough Benefit Inline Hockey Tournament at the RMU Island Sports Center. The tournament, held December 30, 2016, raised more than $4,500 to benefit Taylor Voloch, a 10-year-old girl from Butler County, PA, who has been diagnosed with an inoperable brain tumor and is currently undergoing a chemotherapy regimen at Children’s Hospital of Pittsburgh. Taylor’s dad, Joe Voloch, is a hockey director at a facility in Butler, and the community has rallied behind Taylor’s family by organizing fundraisers for her care. More than 30 teams signed up for the Inline Hockey benefit, which was run on a 4 on 4 “Ironman” format. The Higher Images team was captained by the company’s Vice President, Dan Harmon, and took first place in the tournament in their section. “Higher Images regularly donates to many events and organizations in western Pennsylvania. We were proud to enter our inline hockey team and support such a worthy cause. Our thoughts and prayers are with Taylor and the entire Voloch family during this fight,” said Harmon. You can learn more about Taylor Voloch and donate to her cause at http://taylorvolochbenefit.com/. Established 15 years ago, Higher Images is Pittsburgh’s longest-standing digital marketing firm. The firm’s success has always revolved around offering superior client accountability and tracking, allowing clients full control of their digital dollars. Higher Images digitizes all the marketing that a company does and shows returns on their investment by providing tangible results for marketing dollars spent. The firm’s many awards and recognitions include being named one of the fastest-growing top 100 companies in Pittsburgh and one of the best places to work in Pittsburgh.